GTN 6XX/7XX Software Upgrade to Main Software Version 5.13 and GMA 35 Audio Software Version 3.10 PRODUCTS AFFECTED The following units are affected: Model Appliance P/N GTN 625 011-02254-00 GTN…. 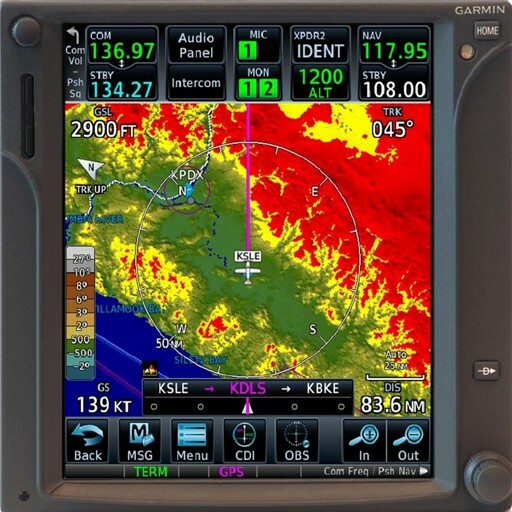 December 11, 2014 Garmin announces the new GDL 69 and GDL 69A SXM datalink receivers. These new datalink receivers offer access to new weather service packages with lower activation fees,…. PRODUCTS AFFECTED G5000-equipped Cessna Citation Sovereign 680 and Citation X 750 aircraft, and G3000-equipped Cessna Citation M2 and Cessna Citation CJ3 aircraft with navigation database cycle 1413 or earlier are…. December 2, 2014 Today, Garmin announces the availability of the Flight Stream 110/210 Bluetooth wireless gateway. Flight Stream enables connectivity and communication between select Garmin avionics and Garmin Pilot on…. GTN 6XX/7XX Software Upgrade to Main Software Version 5.13 and GMA 35 Audio Software Version 3.10 COMPLIANCE Optional: This Service Bulletin may be incorporated at the owner’s discretion and is…. November 25, 2014 AML STC SA02019SE-D GTN Software Version 5.13 Update and installation approval of Flight Stream 210 CERTIFICATION AUTHORIZATION STC SA02019SE-D MDL Revision 12 PRODUCTS AFFECTED GTN 6XX/7XX navigators, GMA…. November 24, 2014 GNS 400W/500W Series Software Upgrade to Main Software Version 5.20 CERTIFICATION AUTHORIZATION: TSO Authorization PRODUCTS AFFECTED Model Appliance P/N GPS 400W 011-01057-( ) GNC 420W 011-01058-( )…. November 24, 2014 STC SA01933LA-D 400W/500W Part 23 AML STC GNS v5.20 Software Update, Flight Stream 210 CERTIFICATION APPROVAL: STC SA01933LA-D MDL Revision J PRODUCTS AFFECTED GNS 400W/500W series products….